This is a test posting from my iPhone using BlogPress application. So far this application is a jiffy to use. Everything is self explanatory and easy to use. 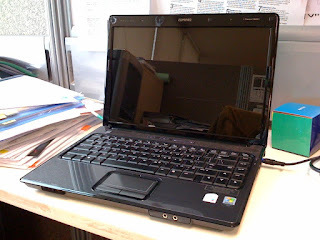 Previously I've posted an entry on my notebook also from iPhone but that is through the secret e-mail. Some key items such as labels and multiple photos support are mising from the e-mailing method. By using BlogPress I can manage and edit posts, add labels, photos, and etc. Additional features which would make this application better are landscape authoring, spell check, geotag and url link. Other than that, this app really makes mobile blogging easier. 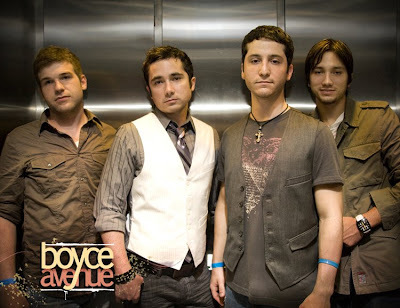 If you like acoustic music, the you'll definitely like this band; Boyce Avenue. Stumbled upon while searching for guitar lessons in YouTube, I've been an avid listener since. The band does cover songs of popular hits which some to me sounded much more better than the original singer. You have been a good pal to me and others you have touched. may you serve your new owner well; as well as you did to me and be treated as just. Thank you my shiny steed. Been craving this snack for months.. search almost all major supermarket and japanese speciallity store from Ampang, KLCC, PJ and finally today found at The Garden's Cold Storage. These tiny critters, measuring not more than an inch packs mouthful of flavor. 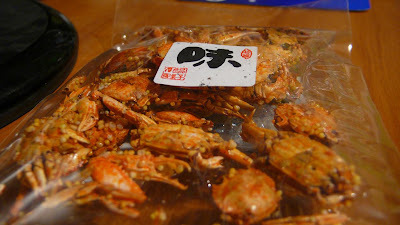 Everything could be consumed, from the tiny legs, claws and even the whole body shell. To discribe the taste, easiest to explain; it taste similar to the chili ikan bilis from Pangkor. A pack of 200 grams costs RM 14. Why not give it a try? It's nice. I’d always believe that having a proper gear in any line of work is necessary to do things efficiently, less effort to get it right and more focused on the task at hand. Growing up in a house of five brothers, we had a fair share of DIY projects, may it be motoring, gardening, carpentry and plumbing amongst others. One thing in common among all those projects, we love tools; with the proper and quality tools tasks becomes less of a burden and you’ve work smarter. Same should go to the men and women who are protecting our country round the clock; the police, military, fire brigade and other agencies. Their gear should be up to date, spick and spank; as proper gear to them could mean life or death. We always see in the movies, especially from Hollywood like; SWAT, Blackhawk Down or reality TV police videos, they all have the proper tools. Not only have they made them more agile, but it keeps them well protected too. These are top of the line equipment, purpose build to keep up with ever demanding job which you think is off limits for civilians. Guess what, I’ve stumbled upon this website called TacticalPantsUSA.com where they are selling 5.11 Tactical series gear. Now civilians like us can benefit the technology and research done for each of the product on sale. 5.11 Tactical series is a superior product that enhances the safety, accuracy, speed and performance of law enforcement, military and firefighting professionals. Built on a foundation of durability, quality and value, 5.11 Tactical leads the industry by delivering functionally innovative gear, head to toe. At TacticalPantsUSA.com we are spoilt with choices as they carry almost everything within this category, may it be tactical pants, shirts, knives, boots, eyewear, jackets, watches and many more. To fully check out the items available and how to shop, head over to TacticalPantsUSA.com to find out more on the 5.11 Tactical series.